Iceland must beat already-qualified Croatia on Tuesday night if they're to reach the knockout stages of their debut World Cup. Mark O'Haire previews the encounter from Rostov. "Croatia have paid-out over 2.5 goals backers in six of their past eight World Cup group games and tournament trends also point to high-scoring encounters, as 51% of final round group games have broken the two-goal barrier since the start of the 1998 World Cup." Having tamed Lionel Messi and Argentina in their opening World Cup game - coming from behind to draw 1-1 with the two-time winners in Moscow - Iceland were expected to pick up a positive result against Nigeria in Volgograd and move towards the brink of the knockout stages. Instead, the smallest nation ever to qualify for the tournament are struggling to stay afloat after wilting in the punishing Russian heat. Despite starting well, when Gylfi Sigurdsson forced two early saves, Our Boys were unable to grab the opening goal and then faded badly after the half-time interval. Heimir Hallgrimsson's men were distinctly second best in the second-half but were gifted a chance to score in the closing stages after Alfred Finnbogason was fouled in the penalty area after a VAR review. Unfortunately, Sigurdsson's high and wide spot kick summed up his country's night. Hallgrimsson remained positive post-match, well aware a two-goal victory over Croatia in Rostov will give the Nordic nation a fantastic chance of progressing. However, should Nigeria beat Argentina, the debutants are likely to be heading for an early exit. Only an odd selection of results would see Croatia relinquish top spot in Group D with the Blazers cruising to the top of the tree, following a 2-0 triumph over Nigeria, and then an impressive 3-0 success over Argentina last time out. The Balkan boys weren't at their best in the opening 45 minutes against the South Americans, edging an encounter that lacked clear-cut goalscoring opportunities. Nevertheless, Croatia ran out convincing winners following a dogged defensive display, illuminated by clinical finishing. Firstly, the Blazers made Willy Caballero's mistake pay when Ante Rebic ruthlessly volleyed home the opener, before Luka Modric produced a moment of magic with a sumptuous curled finish. Ivan Rakitic completed the rout late on with a tap-in off the back of another composed passing move. Head coach Zlatko Dalic has confirmed he'll rest and rotate some of his squad for Tuesday night's contest but the Croatian boss is unlikely to make wholesale changes as they bid to seal their spot at the top of the Group D tree. "We've played Croatia four times in four years and we've often said we're like a married couple trying to get divorced but we always meet up again." That was the Icelandic head coach Heimir Hallgrimsson soon after seeing his side suffer their second match day loss against Nigeria. Our Boys are the Blazers have been regular competitors in recent years with honours evenly split in what have tended to be quite tempestuous affairs. Considering what's on the line on Tuesday night, a repeat in Rostov could be on the cards. Iceland [3.75] have never really convinced the layers despite their Euro 2016 exploits. The Nordic nation lost the total shot count 95-40 in their matches against Portugal, Austria, Hungary, England and France two years ago, and went off underdogs at home to Ukraine in one of their qualifying fixtures. 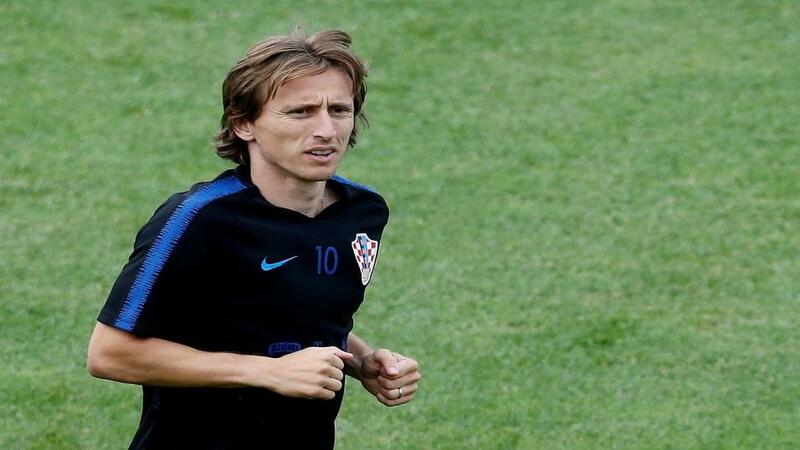 The minnows' need for maximum points may force them into an uncomfortable game-plan and Croatia [2.20] have the tools to hurt their opposition, if completely motivated to take spot. However, it's hard to second-guess the Blazers' pre-match mentality and so the Match Odds market is best swerved. Missed penalties have cost over 2.5 goals [2.38] backers in Iceland's opening two World Cup clashes, but with the Nordic nation's six matches prior to this summer's tournament also surpassing the over 2.5 goals line, there's plenty of reason to believe Tuesday night's tussle could produce goals. Croatia have paid-out over 2.5 goals backers in six of their past eight World Cup group games and tournament trends also point to high-scoring encounters, as 51% of final round group games have broken the two-goal barrier since the start of the 1998 World Cup. Iceland will need to alter their basic approach as they chase the game in the dying embers of the contest and that should give both teams ample opportunity to rack up a few goals at a decent price.